The month started with the conclusion of the 2018 St Helens Schools Cup Finals when the Year 8 and Year 10 School Boys finals took place at The Totally Wicked Stadium. Ref: Ryan Cox, TJs: Shaun Pickering & Phil Anders, Res: Tolver Arnold, Timekeeper: Denton Arnold, MO Support: Brian Cummings. Ref: Tolver Arnold, TJs: Innes Arnold & Steve Floyd, Res: Shaun Pickering, Timekeeper: Denton Arnold, MO Support: Brian Cummings. The Society has a long tradition of providing officials for the National Champion Schools finals and this year was no different. The Society was represented healthily yet again; three out of the eighteen officials appointed for the day was from St Helens; Tolver Arnold, Ryan Cox & Mackenzie Maddison. Phil Smith was appointed as a Match Officials coach also. All the officials involved took a step closer to the curtain-raiser at prior to the Challenge Cup final in August. Ref: Tom Gibbs, TJs: Josh Goldie & Ryan Cox, IGs: Mackenzie Maddison & Thomas Mackey Res: Molly Hutchinson. Ref: Catlin Beevers, TJs: Frankie Connell & Lewis O’Brien IGs: Leyla Coban & Josh Scaife Res: Josh Goldie. Ref: Mackenzie Maddison, TJs: Thomas Mackey & Tom Gibbs, IGs: Ryan Cox & Leyla Coban Res: Molly Hutchinson. Ref: Ollie Maddock, TJs: Josh Scaife & Josh Goldie, IGs: Catlin Beevers & Lewis O’Brien Res: Eoin Bowie. Ref: Luke Bland, TJs: Ryan Cox & Mackenzie Maddison, IGs: Frankie Connell & Eoin Bowie Res: Molly Hutchinson. Ref: Tolver Arnold, TJs: Catlin Beevers & Leyla Coban, IGs: Lewis O’Brien & Thomas Mackey Res: Frankie Connell. Ref: Ryan Stansfield TJs: Luke Bland & Eoin Bowie, IGs: Ollie Maddock & Josh Scaife Res: Tolver Arnold. Phil Smith travelled to Malta to deliver an RLEF Level 1 Match Officials course. While he was there Phil was also appointed as Reserve Referee for a Rugby League World Cup 2021 Qualifier game between Malta & Ukraine. Both Innes and Tolver Arnold flew over to Canada for the first time to officiate at Toronto Wolfpack in the Betfred Championship. 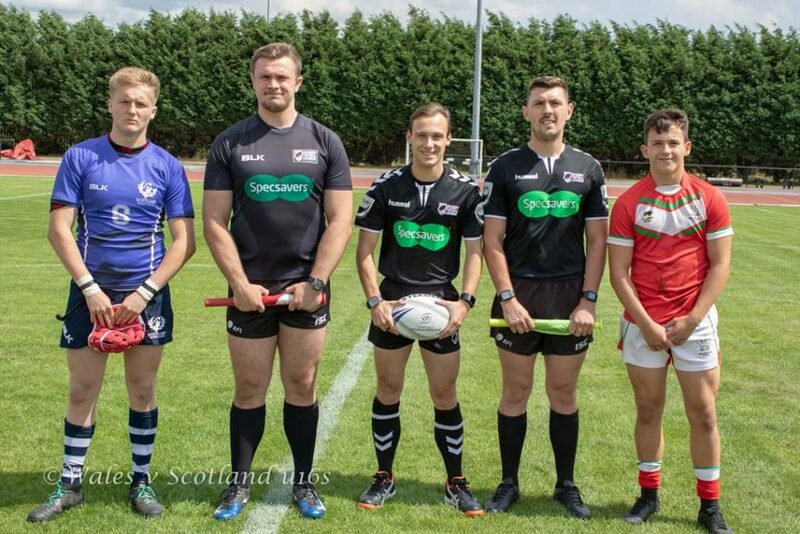 Innes was appointed as Reserve Referee when the Wolfpack hosted the Sheffield Eagles. Tolver followed the week after as Touch Judge for Toronto v Batley Bulldogs. While the Arnolds and Phil were travelling around the world, back at home Ryan Cox and Stuart Fraser were officiating the NWC Under 12s Cup Finals at Preston Grasshoppers. It was a clean sweep at the NWC Under 13s – 15s finals day at Golborne Parkside with members being involved in all three finals in different capacities. Ref: Mark Grady, TJs: Emily Grundy & Stuart Fraser, Res: Adam Johnson. Ref: Liam Jones, TJs: Stuart Fraser & Emily Grundy, Res: Mackenzie Maddison. Ref: Mackenzie Maddison, TJs: Stuart Fraser & Liam Jones, Res: Adam Johnson. Ref: Adam Johnson, TJs: Mackenzie Maddison & Liam Jones, Res: Stuart Fraser. The Society hosted Dave Campbell as a guest speaker at July’s General Meeting, continuing our good run of guest speakers after hosting James Child earlier in the year. Thank you to former super league and Challenge Cup final referee Dave Campbell for paying us a visit on Wed night. Dave told us about his playing career and then took us through his career as a match official. Adam Johnson made his professional Touch Judging debut. Adam then continued in League One two weeks later when he was appointed to Touch Judge at London Skolars when they played Bradford Bulls. Society colleagues Craig Smith refereed the game, and Innes Arnold ran the other line. Congratulations to Adam Johnson on being appointed to touch judge his first League One game between Coventry Bears and Hemel Stags. Denton & Tolver Arnold made some more family history when they Touch Judged Hunslet v Doncaster in a Betfred League One clash. This game was the first professional game that the brothers had Touch Judged together. Denton & Tolver pose with their teammates prior to kick off. Finishing off the month Denton Arnold (Referee) & Stuart Lloyd (Touch Judge) officiated Wales v Scotland Under 16s in an International Representative fixture held at Robin Park, Wigan. This marked Denton’s first International middle and Stuart’s International debut. 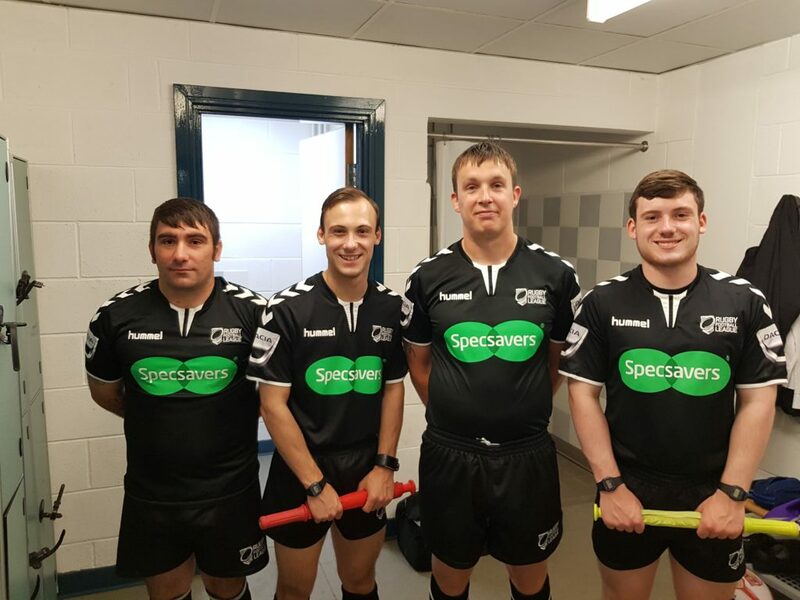 Interested in becoming a Rugby League Match Official? Email Recruitment@StHelensRLRS.co.uk for more info.